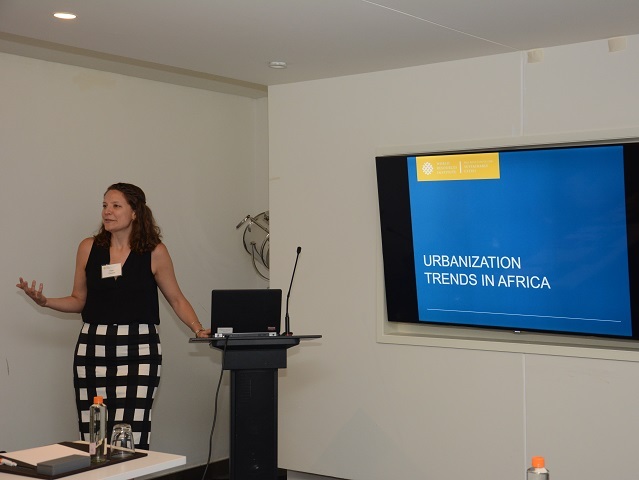 WRI Ross Center’s engagement with sub-Saharan African cities is emerging with new projects, research and training programs. In this series, we explore – and ask partners – how to pursue and maintain equal and sustainable cities, highlighting people, spaces, challenges and opportunities in the region. 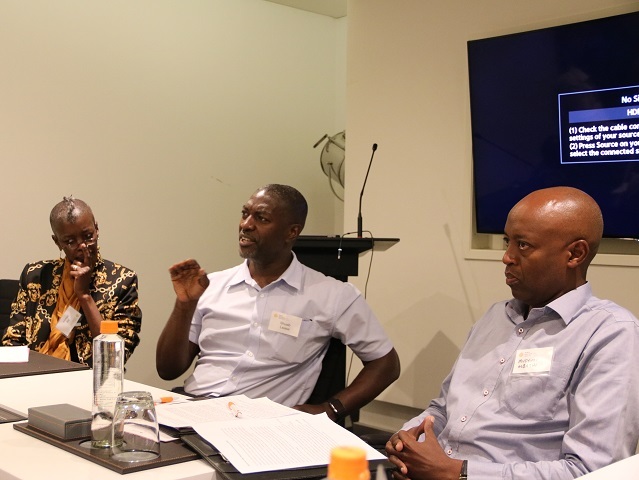 “Urban green spaces in Africa are under attack,” said Wanjira Mathai, director of the Partnership on Women’s Entrepreneurship in Renewables (wPOWER) and WRI board member, at a recent workshop in Nairobi. As African cities expand, their “lungs” are disappearing; even as cities grow and spread, “we must invest in livable cities for the future,” she says. 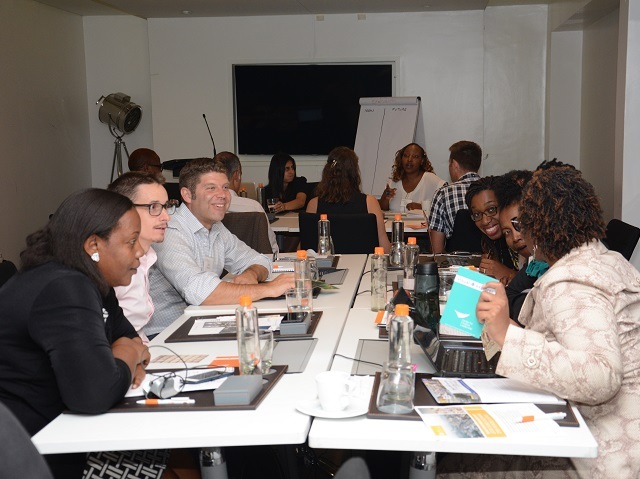 On June 28, WRI Ross Center for Sustainable Cities convened stakeholders from across sub-Saharan Africa in the first of a series of workshops to examine urban trends for the region and the potential for transformative change, particularly in Nairobi and Kampala. Participants came from academia, urban planning, business, the technology sector, community groups and other areas, discussing methods for innovation and working together to create more sustainable cities. Today, many of the conventional approaches to urban planning are failing residents. The growth of sub-Saharan African cities poses both enormous opportunities and challenges. More than half of Africa’s people will live in cities by 2040, including a great number of young people. The public and private sectors recognize the potential associated with this demographic transition, as well as the challenges, including ensuring access to good jobs for everyone and providing services that improve quality of life. Throughout the day-long event, attendees participated in group exercises, including writing the “headlines of tomorrow” to highlight major urban challenges and goals. These activities encouraged conversation, creativity, relationship-building and learning. They also highlighted the need to work at the mtaa or neighborhood level to test new ideas and business models for service provision. Instead of focusing on policy changes, institutional reform and large-scale infrastructure investment, participants highlighted the need to build legitimate governing bodies through active participation in the life of the city, provision of green spaces, pedestrianization, distributed energy systems and natural building materials. Local experts discovered potential for this alternative narrative in the experiences of Nairobi and Kampala. 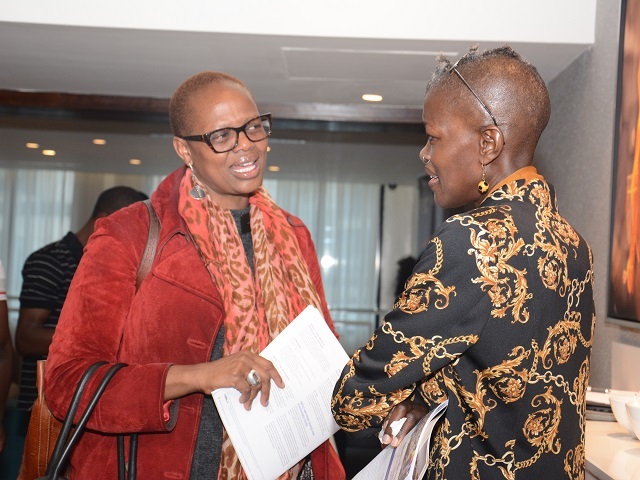 Reflecting on a recent week-long arts festival, Joy Mboya, director of the GoDown Arts Centre, discussed the importance of intersecting art with the city itself. It wasn’t the fact that they held a festival that changed people’s engagement with the city, but how involved communities were in determining the content and description of the event, she said. Shuaib Lwasa, head of the Kampala Urban Action Innovations Lab and professor at Makerere University, reiterated the importance of community involvement and local-level activism for Kampala. “As a city, we need to move from knowledge for knowledge’s sake to knowledge for action,” he said. He highlighted the importance of partnerships in the community, strong leadership and the role of students, like those at Makerere’s Innovations Lab. He urged that informal neighborhoods be valued for the solutions they already offer in terms of employment opportunities and alternative service delivery. His research flips our understanding to suggest that the informal is the city. Similarly, Musyimi Mbathi, head of the University of Nairobi’s Centre for Urban Research and Innovations, spoke to the importance of student action and engagement. “We are training the next generation of green champions in this country,” he said. “There is a big resource that remains out there, untapped.” His experience with service provision and informal distribution systems highlights how to incorporate action at the neighborhood level to begin reshaping the city toward a more sustainable and livable future. From the experience of Nairobi and Kampala, new priorities emerged around creating shared ownership of city visions, aligning investment projects with community needs, providing equal access to jobs and services and planning more intentionally to create an adaptive urban fabric that can weather and take advantage of change. “This is the beginning of a journey…the opportunity is exponential,” said Beebe. 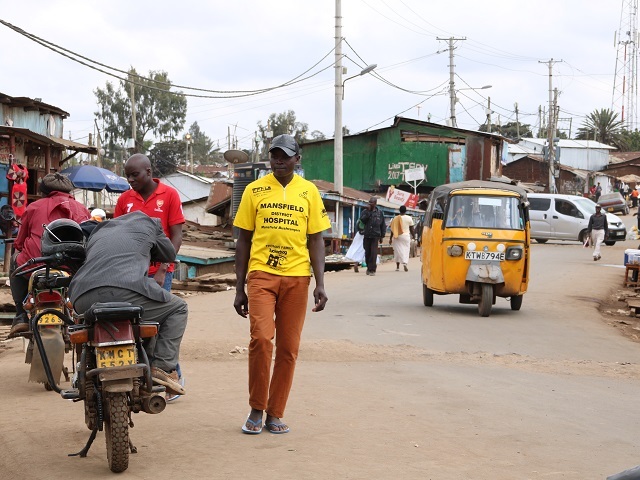 Through establishing partnerships with local organizations, convening key stakeholders and improving data collection and transparency, WRI Ross Cities aims to increase its engagement in Africa. Stay tuned for more as we explore these priorities and search for a new approach. Kate Owens is the Urban Development Manager for WRI Ross Center for Sustainable Cities. Talia Rubnitz is the Communications Assistant for WRI Ross Center for Sustainable Cities.